I have come to believe that the closer you are to nature, the more natural gratitude you feel. I think perhaps it’s because nature does what nature does. You can’t order it around, you can’t demand from it, and it doesn’t argue with you. It does what it does, and you can work with it, or not; it doesn’t care. So at this time of Thanksgiving, I am profoundly grateful that I get to talk with people who are close to nature – people who work with the weather, the climate and the soil – to do the very best they possibly can to grow not just a good crop, but the best crop. People who take pride in the fact that their tomatoes are the sweetest in the store, that people rave about their broccoli at their farm stands, who look out over their crops throughout the season with pride. Even though agriculture and farming is filled with science, and we know almost everything about how everything works (at least some people do), it still relies on nature – for the seed to sprout, the seedling to grow, blossom and fruit – to provide bounty that must be harvested at just the right time. The survival story of our country’s first settlers is founded on learning how to farm – how to produce bounty from seed, soil, fertilizer, and careful tending throughout the year. It takes faith and hope to do that. 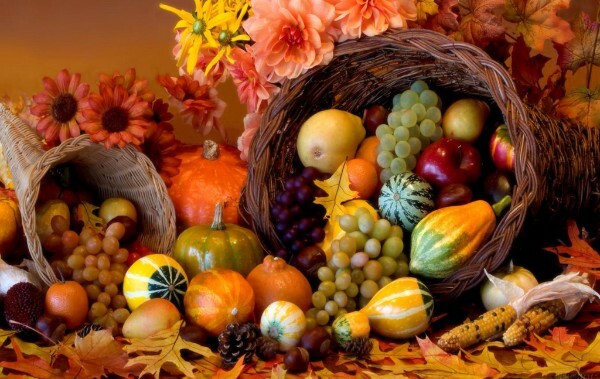 As we sit down to enjoy the bounty provided by farmers, ranchers and all the people in between them and our table, I am thankful and grateful, and I wish you a blessed Thanksgiving.